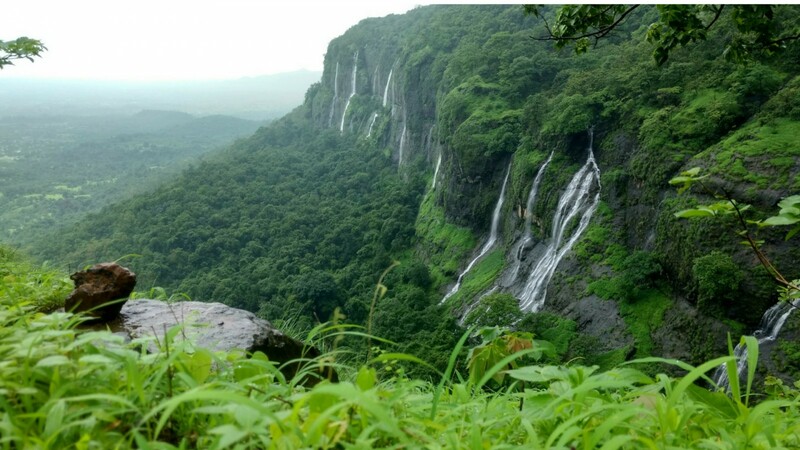 The rich heritage and abundant natural beauty of the Western Ghats makes Maharashtra one of the best states, apart from the Himalayas, for winter trekking in India. While the weather across Maharashtra can be mercilessly dry and hot during the rest of the year, in the winter, the forests are cool and green, and the early morning and late evenings get quite cold. Night trekking is a popular option for winter treks in Maharashtra. As temperatures drop across the state, people begin to look for treks near Mumbai and Pune. The weather is pleasant almost all day round, and treks and camping are great fun. The evenings and nights get chilly, with temperatures dropping to single digits. It’s the perfect time to light campfires and enjoy BBQs and singsong sessions. The mornings are misty and cool too. In the morning, especially around lakes or ponds, the mist hangs low in the air. It is a lovely time to head out for a trek or camping in Maharashtra. The most important thing for any Maharashtra trek is to have the right shoes and bag. You should also carry enough drinking water and some energy-boosting snacks. Your operator will send you a list to tell you what to bring. Make sure you take a warm hat and jacket if you’re going to be out at night. The temperature begins to drop by November or December in Maharashtra. You can enjoy a winter trek during the coldest days of winter, in January and February. But even as the winter approaches or departs, it cools down between 21:00 hrs to 07:00 hrs, making it great for night treks. Kalsubai Peak, at an elevation of 5400 feet and with the title of ‘the Everest of Maharashtra’ is one of the tougher winter treks in Maharashtra. It is a thrilling trek, especially if you start early in the morning or try a night trek here. There is mist all around, and the ascent can get quite tricky if you’re doing it in the dark. You will cross beautiful streams and pools, and see picturesque views of valleys and surrounding peaks. This is one of the top winter treks in Maharashtra for those looking for a fun challenge. This winter trek of Maharashtra is one of the most challenging one out of all. At an approximate distance of 90 km from the Kalyan district, this trek in the Western Ghats pushes you to test your stamina. The trail goes over rocky patches, steep inclines, and some scary drops. The biggest attraction of this winter trek of Maharashtra is Konkankada, or the ‘Cobra’s hood.’ You will also see scenic views of the Saptatirtha lake, the Kedareshwar temple. At the top of the fort, you will find a cave inside which rests an ancient temple with a shivalinga structure. Rajmachi Fort is one of the most popular winter treks in Maharashtra, because the weather makes the long trek through a humid forest easier. A moderately challenging trek, the trail is not too steep but the real challenge lies in stamina owing to the length of the route. You’ll be able to camp at Rajmachi village, and explore the twin forts of Shrivardhan and Manoranjan the next day. 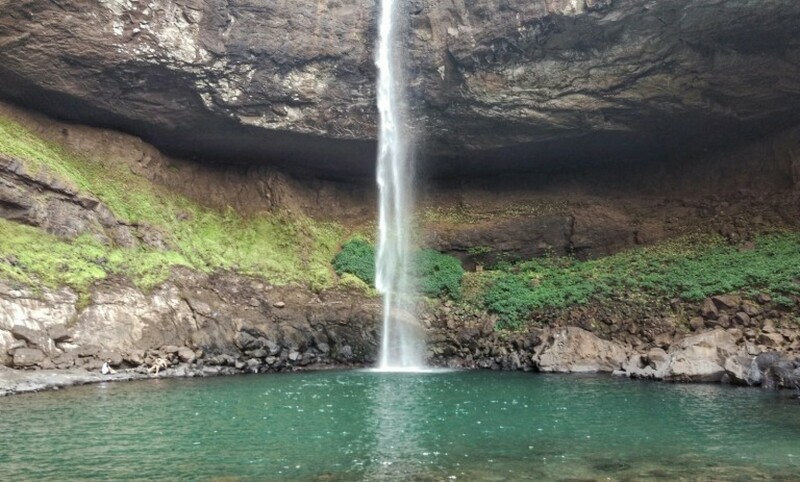 You’ll also cross streams, waterfalls, and lush green paddy fields, making this one of the top winter treks in Maharashtra. Sandhan Valley is one of the top winter treks in Maharashtra, because it takes you through a 200-feet deep valley in the Sahyadris. In the winter, the heat stored by the rocks inside the valley is hardly noticeable, and if you’re camping, you’ll have cold winter nights that are perfect for a bonfire. 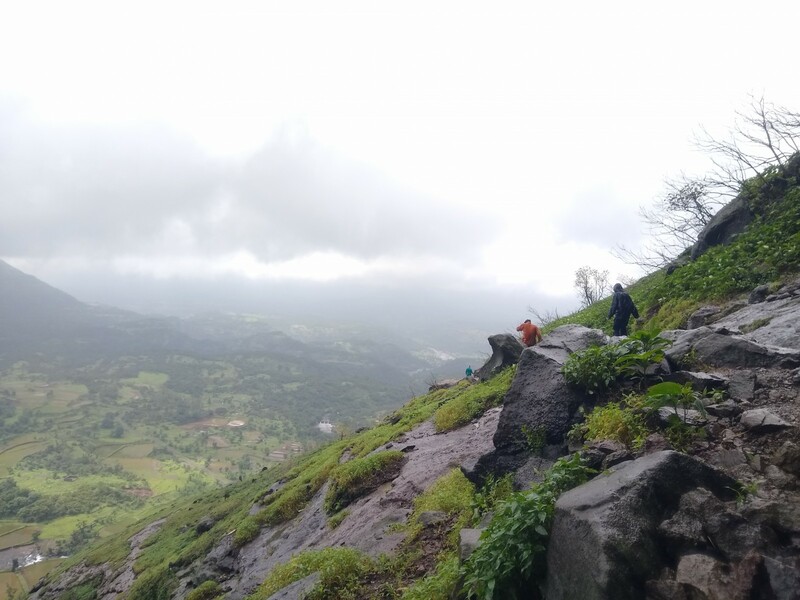 This counts as a tough trek in Maharashtra if you attempt the full descent, but you’ll get to rappel down from craggy rock faces, take dips in clear natural ponds, and camp in the valley at night. 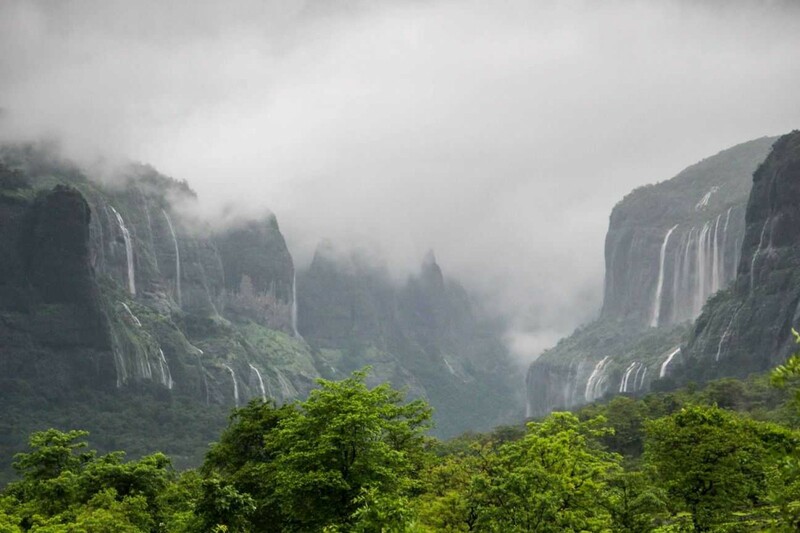 When you’ve completed the easy winter treks in Maharashtra, you’ll be ready for the Kalavantin trek. 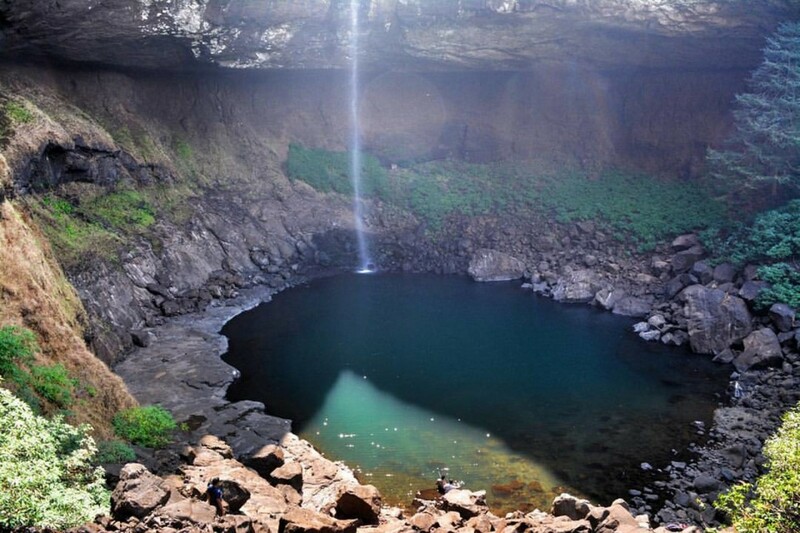 You’ll trek up to the Prabal plateau, which is a fairly easy and scenic trek in itself. You can rest at the plateau and admire the views for a while, but after that, the fun really begins. Kalavantin Pinnacle is an almost 2000-foot tall sturdy rock spire that reaches upwards to the sky, with narrow steps leading to the top. There is no protection and no railings, which means full exposure to the elements. There are several rock patches that can get very slippery and tricky to navigate, but getting to the pinnacle is a real thrill. This is one of the top winter treks in Maharashtra for those who are seeking a fun challenge. 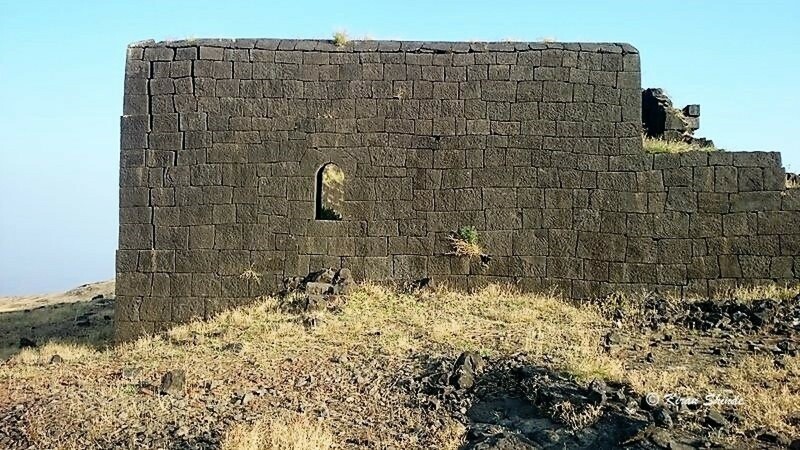 Lohagad or literally the iron fort is one of the most popular winter treks in Maharashtra. This easy trek is perfect for beginners and nature enthusiasts, because it takes you through rain-drenched trails with streams running across, over slippery rocks and up to the misty fort at the top. The main attraction of this fort is the famous Vinchu Kata (Scorpion tail), as it resembles the tail of a scorpion. The tail is roughly 2 kms in length and the view from the top is captivating! This is one of the tougher treks in Maharashtra, because it takes you to three different forts across a span of 2 or 3 days. It is best done as a winter trek in Maharashtra in winter so that you have pleasant weather for most of your trekking time. You’ll walk through a densely forested trail, scrambling over rocks and boulders, and sleep in caves at night. There are some steep sections on this trail, and long hours of trekking. But you’ll find the ruins of ancient forts, natural water bodies, gorgeous sunrises and sunsets, and mysterious caves, making this one of the top winter treks in Maharashtra. This easy winter trek in Maharashtra takes you out of the city and into the greenery of the Western Ghats. You’ll enjoy a short trek that winds through open land and forest, leading you to a hidden waterfall. The water cascades down over a cliff into a natural emerald-green pool. The easy Karnala trek is great in the winter. It is one of the closest treks to Mumbai, and takes you into the Karnala Bird Sanctuary. In the morning, many rare species of birds are visible here. You’ll trek through a forest, up some steep stretches, to a ridge that leads you along to Karnala Fort. From the ridge, you can see the thick tree cover of the valley beneath you. The fort has an interesting structure and is worth exploring. This tough winter trek in Maharashtra takes you on a long trek to the Bhimashankar temple which stands at 3000 feet, and can be done via two routes: Ganesh Ghat or the Shidi route. The former route is considered to be the easier one and can be used by first time adventurers, but is longer than the other. The Shidi route takes you along a route with ladders to cross the steeper sections, and requires some elementary rock climbing. If you’re a fit first-timer looking for a challenge, try the Shidi route. This is one of the top winter treks in Maharashtra, with great views and a fun experience. Head deep into the Koyna Wildlife Sanctuary for this fun winter trek in Maharashtra. You’ll take a boat ride across the Koyna backwaters, and trek to the top of Vasota. The views are lovely from here, and you’ll spend some time to take it all in before heading back. What are the easy treks near Mumbai or Pune? Some of the easier treks for winter in Maharashtra are Korigad, Tikona, Lohagad, Kothaligad, and Karnala. These are suitable for beginners and can be done in one day. What should I wear for winter trekking in Maharashtra? Wear comfortable trekking pants or leggings for your winter trek, and dress in layers. The early mornings and late evenings will be cold, so do carry a sweater or jacket. You should also have comfortable trekking shoes, a warm hat, and a sturdy backpack. Can children go for winter treks near Mumbai or Pune? Yes, many families take children out on short treks in the winter. If you or the children are trekking for the first time, let the operator know so that you can start with an easy trek. Do ensure that the children have suitable warm clothing and the right shoes for the trek. What else can I do on a winter trek in Maharashtra? A day trek usually involves a packed lunch and some time to relax at the top/fort. If you’re doing an overnight trek or camping, you might also have a campfire and BBQ. This depends on the permissions of the location, so do check with your operator if you want a campfire.